As a female it is very important to be able to protect yourself. I have put off getting a concealed hand gun licence for a while but I think its about time to make the jump. 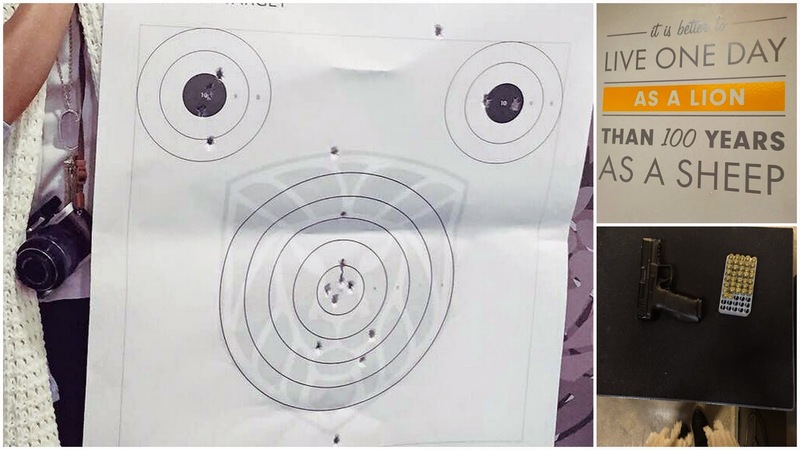 I was recently invited to the Boyert Shooting Center and I must say the atmosphere is perfect for anyone wanting to shoot. 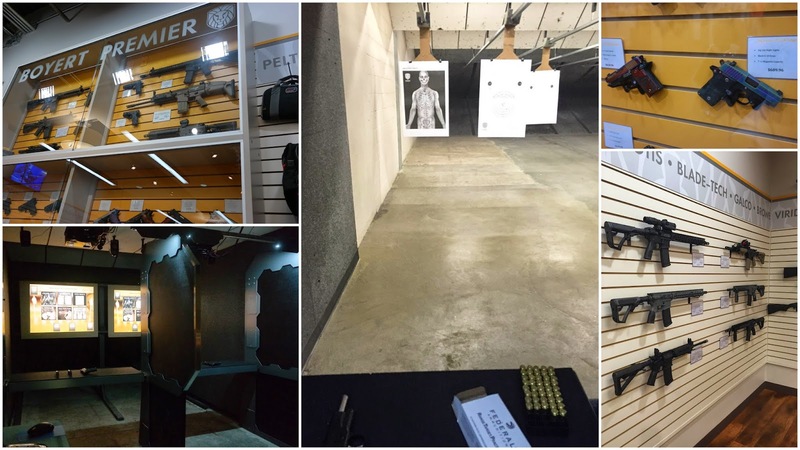 Complete with rooms that have simulated shooting modules and calibrated guns, to actual range rooms to shoot, Boyert has a little something for everyone. The Simulator has over 350 scenarios and is the same one used by Miltary and Special Ops. Actually, most of the people who work at Boyert have a background in military or law enforcement. I shot both the simulator and some real guns. I can't wait to go back, and finally get my CHL and a pretty gun! The retail area at Boyert is pretty big! The space is great to walk through, all of the guns are on the wall so if you want to see how one feels in hand you can just pick it up yourself. There is a very knowledgeable staff on hand to answer any questions. I think I need one of these for my walks with my puppy. They also have a FREE mindset awareness class. Whether you want to be a gun owner or not, it is important to know how to be aware of your surroundings and prevent attacks. Now... Off to plan which gun I want to buy and schedule a CHL class!